Leather jackets are highly sought after, but can be expensive. A quality leather jacket can cost hundreds of dollars, and a custom-made one can reach over $1000. 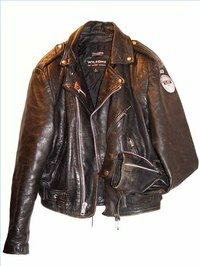 But with a little patience and knowledge, it's possible to design and make a leather jacket for less than half the cost of purchasing one or having one custom made. Find out how to use your creative imagination and sewing skills to make your own.